It's the perfect season of giving to announce a partnership with fellow Chamber member, Diane Smith of Joy by the Spoonful. Our first event in a monthly series will be on Veteran's Day, November 11th from 4:00-6:00. You'll enjoy a small meal (bowl worthy!) 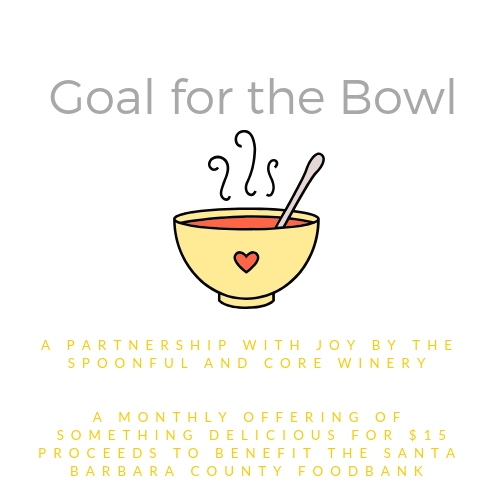 for $15 and proceeds will benefit the Food Bank of Santa Barbara County. Wines available to purchase by the glass and 20% of all bottle purchases will be donated as well.